Rusk County, TX (March 28, 2019) – The Crims Chapel Volunteer Fire Department responded to a construction site accident just after 10:30 a.m. on Thursday, March 28. The accident occurred at a site off Farm to Market Rd 2276 just north of FM 850. According to reports, the worker was working on the site on a bulldozer when he fell with the machine into a pit. The injured driver was transported to Christus Trinity Mother Francis in Tyler immediately following the incident. At this time, we are unsure of the extent of injuries the driver sustained. Our thoughts and prayers are with the driver. Every year, over 500 workers are injured in Texas each year while hundreds of others are injured. No matter how many rules and regulations are in place to protect workers, there is never a worksite that is without risk. When workers are injured, they often deal with overwhelming suffering – mentally, physically, and financially. Worksite accidents can wreak havoc for injured workers and their families, especially if the injured party is the breadwinner for the family. In cases where a worker is injured, they can contact a knowledgeable personal injury attorney in Texas to file a claim for compensation. The Benton Law Firm’s aggressive workplace attorneys in Texas fight for the rights of those injured at work. 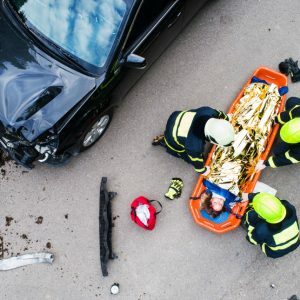 Our keen attention to detail and superior representation skills have enabled our Texas accident injury attorneys to help victims collect millions of dollars for their claims. If you were injured at work, contact one of our skilled Texas accident injury attorneys at (214) 219-4878 to schedule a free case evaluation.